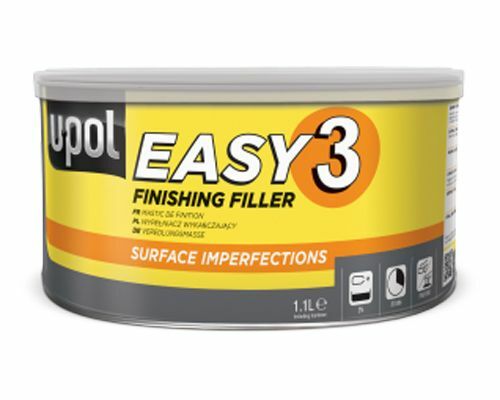 U-POL Easy 3 (Formerly Topstop Gold) Polyester Stopper is a fine, easy-sanding polyester body filler used for filling shallow defects, pinholes or a skim coat over deep body filler repairs. Easy Sanding with high adhesion to a wide range of substrates: steel, galvanised/zinc coated steel, aluminium and GRP. Comes in a 1.1L tin.